All students admitted to Princeton are eligible for fellowships covering living expenses, including summer support, and tuition, which includes the use of the library and gymnasium, access to the clinical service of the McCosh Health Center, and a health and accident insurance policy. The Firestone Library on the campus of the University is an open-stack library offering easy access to books and journals. Carrels, equipped with bookshelves and a desk, are available there for graduate students after their first year. There are normally two students assigned to a carrel. Besides the Library's central reserve area, where books relevant to current seminars are assembled, there is a departmental library and reading room for graduate students in philosophy in Marx Hall, and there is also an adjacent computer cluster. It contains the current and recent issues of many major philosophical journals and a collection of frequently used works in philosophy. The university also subscribes to electronic editions of many philosophy journals, making these accessible from any university computer. 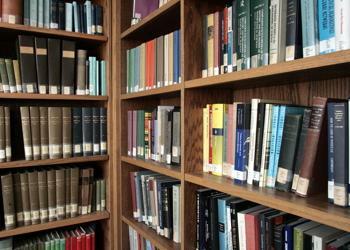 For students with special interest in logic, mathematics, and physics, the mathematics and physics library possesses one of the most extensive collections anywhere of books and journals in those fields. Climate problems, both small and large, shorter-term and longer-term, can arise in any organization. These problems are sometimes difficult for those creating them to recognize. Students who feel that they are being mistreated in some way have various options, depending on the circumstances. If students feel able to do so, they can attempt to resolve the problem themselves by talking with the parties involved, or they can bring the problem to the attention of a faculty member they trust, and enlist that faculty member's help to resolve the problem. If the problem is more difficult to deal with, they can bring the problem to the attention of the Director of Graduate Studies, or the Equal Opportunity Officer, or the Chair, and enlist their help to resolve it. For more difficult problems, they can go to the University Ombudsman's office and enlist that office's help to resolve the problem; or, in the case of sexual misconduct, they can go to the SHARE office and enlist that office's help to resolve the problem. All members of the department, faculty and students alike, are committed to doing what's required to create and maintain an inclusive and respectful work environment at Princeton. Details of measures taken so far can be found here.